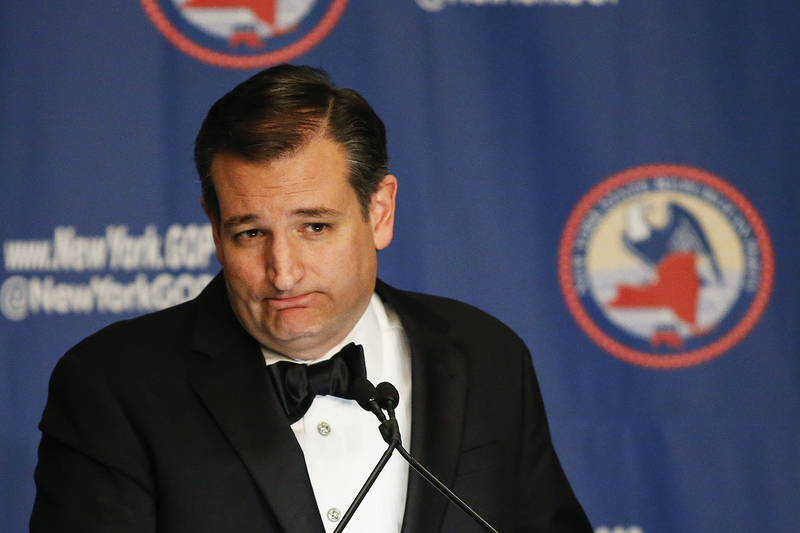 Let's face reality: Either Donald Trump or Sen. Ted Cruz will likely be the Republican nominee. These candidates have struck fear in the hearts of many a liberal, who dislike both Cruz's far-right Christian tea-party bent and Trump's divisive rhetoric about immigrants and Muslims (not to mention his lack of political experience and his seeming lack of knowledge about any particular policy issue, etc., etc.). But there is a surprising number of Republican officials who are dismayed with their options in 2016. On Tuesday, one Republican representative even said he'd poison himself if Cruz won the GOP nomination. New York Rep. Peter King made no effort to temper his feelings toward Cruz on MSNBC's Morning Joe: "I hate Ted Cruz, and I think I'll take cyanide if he ever got the nomination." King went on to express his disdain for frontrunner Trump as well, saying he is not convinced that Trump is "not just the guy at the end of the bar, throwing in remarks." And what about Gov. John Kasich? King voted for him, but only to protest Trump. Suffice it to say that no candidate in the presidential race has King's endorsement. To my knowledge, no other Republican official has threatened to poison themselves over the 2016 nomination. But King's distaste for all Republican candidates is fairly widespread in the GOP. Toward the end of February, Republican Sen. Lindsey Graham said, "If you killed Ted Cruz on the floor of the Senate, and the trial was in the Senate, nobody would convict you." This was a joke, of course, but it's a pretty strong testament to just how many GOP officials are not fans of the Texas senator. The Atlantic pinned Cruz's lack of popularity among his fellow senators on a number of features of his career in the Senate, including a disastrous 2013 government shutdown spearheaded by Cruz and the senator's refusal to support important bipartisan measures. Of course, Trump — the anti-establishment candidate who calls government officials "stupid" on the reg and hasn't served a day of political office in his life — is no party favorite either. He has even fewer endorsements from representatives, senators, and governors than Cruz, despite being the most popular candidate among the voting public in primaries to date. FiveThirtyEight compiled information on endorsements for this election and for ones past; Cruz leads the pack, but each of the 2016 candidates has earned a historically small number of endorsements for this point in the nomination process. The reason for Cruz's recent climb in endorsements is likely the establishment's increasing acceptance of the fact that he is their most realistic hope against a Trump nomination, after the suspension of GOP golden boy Marco Rubio's campaign. As for Kasich, he actually has a few more endorsements than Trump. But it would be mathematically impossible for him to win the primaries. Even in the case of a brokered convention, it's unlikely that unbound delegates would support the candidate who won so few primary votes, especially when given the option of Cruz, who at least performed somewhat competitively in the primaries. Rep. King may be alone in his cyanide threat. But the dissatisfaction he feels toward his party's candidates in 2016 is in no way a unique sentiment.